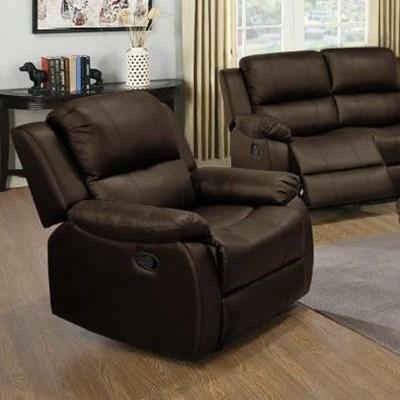 This Wilson recliner is covered in an espresso soft breathable PU. Elegant dining with a modern twist, Camila offers beautiful white marble counter dining. All chairs feature stretchers and nailhead trim to dress up any dining area. 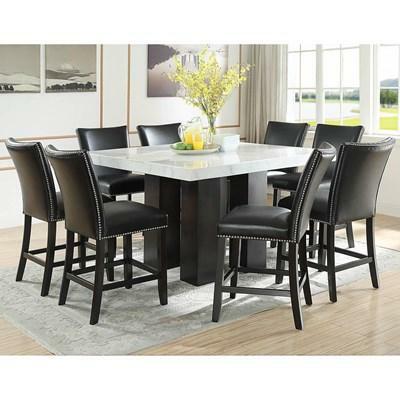 This set includes one Square dining table and six counter height chair. 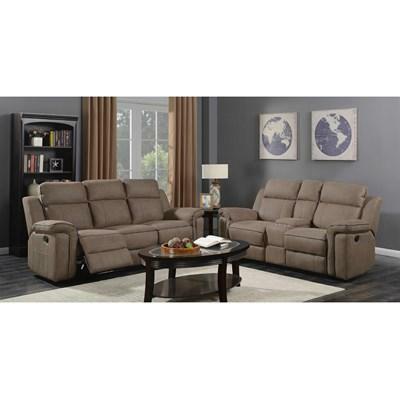 This Jamestown reclining living room set by Elements International features plush arms, pillow top back cushions, overstuffed seat cushions, and a Dallas saddle color. This set includes a sofa and loveseat.